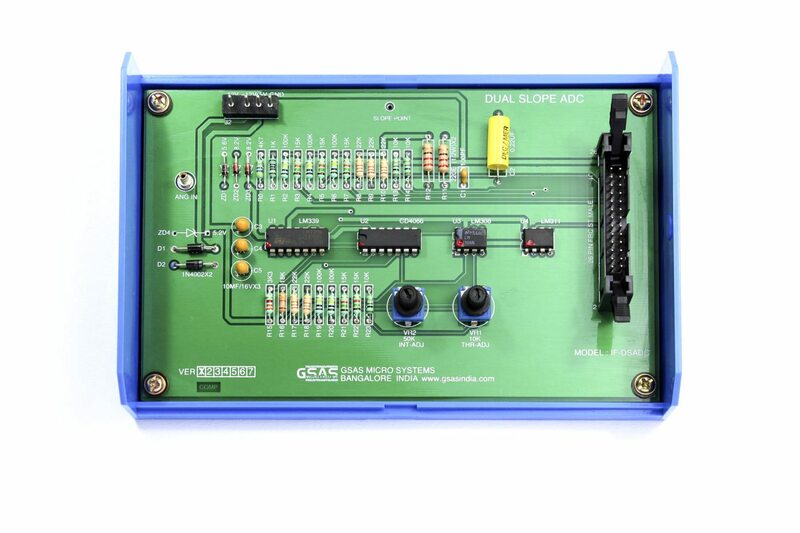 GSAS Micro systems manufacture a variety of interface modules useful for teaching/training/lab use. This interface provides a four digit 7-segment display driven by the output of four cascaded shift registers. Data to be displayed is transmitted serially (bit by bit) to the interface. Each bit is clocked into the shift register by providing a common clock through a port line. 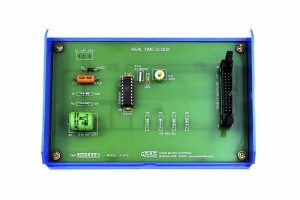 Thus one port line provides the data and another port line provides the clock. 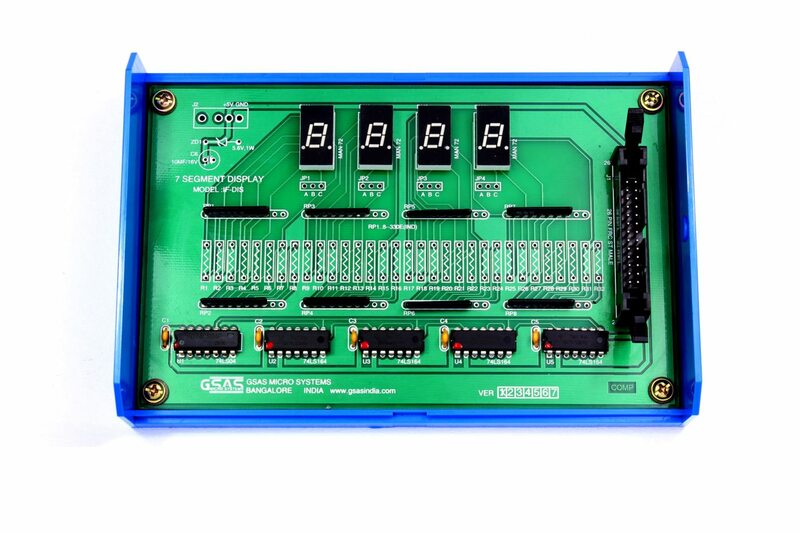 This interface allows the user to study 7-segment display control techniques, code conversion methods, etc., The software exercise could include procedures for table look-up, a variety of bit manipulation operations, etc. 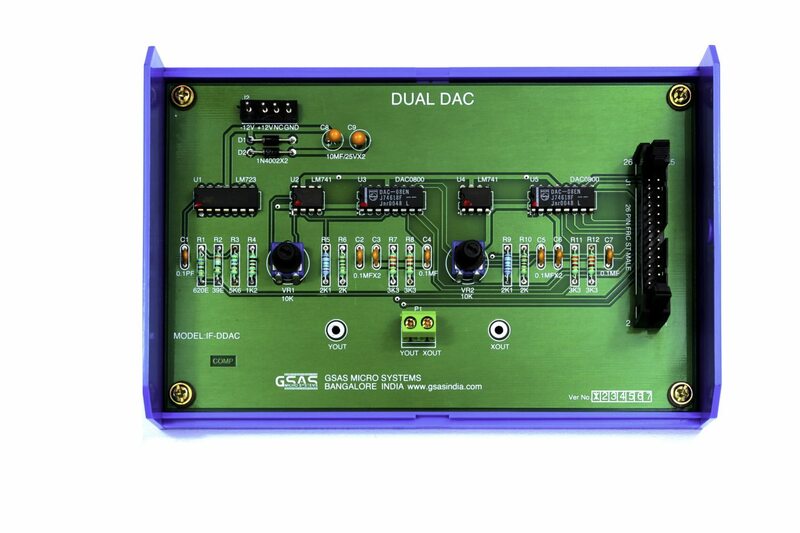 This interface is based on Analog Device AD1674, ADC with 12-bit, 10 usec sampling rate. AD1674 has a built-in sample and hold amplifier too. 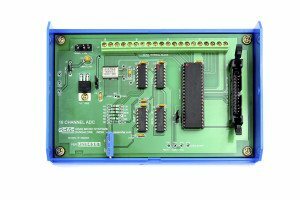 The ADC accepts Unipolar (0-10V) or Bipolar (±10V or ±5V) signal inputs. Provision for an optional 8 channel multiplexer, ADG 508. 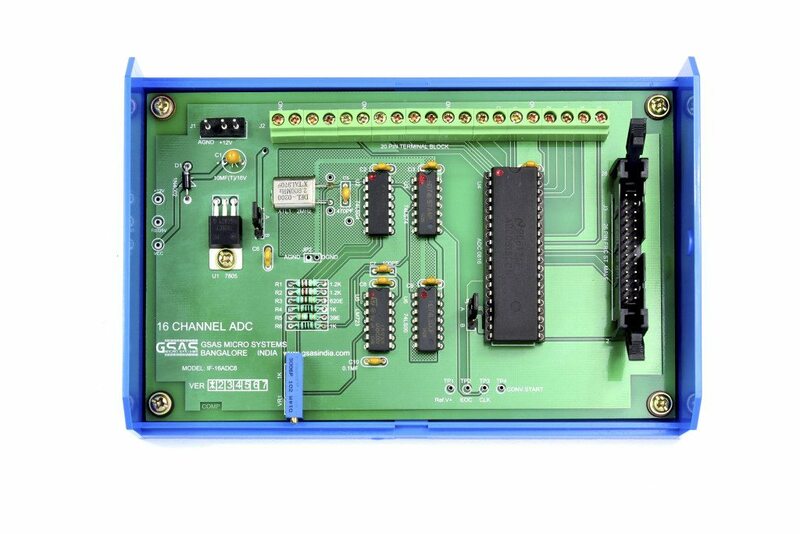 The channels can be configured to accept current (4-20mA) or voltage signals. 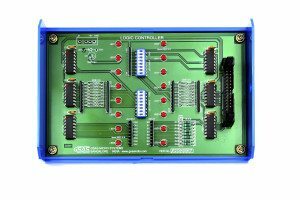 The interface has 9 pin terminal strip to feed the analog input voltages. 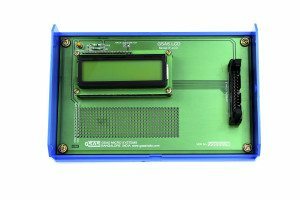 LCD modules are widely used in areas where information is conveyed for viewing. They can be seen in calculators, mobile and cellular phones, pagers and other electronic products. 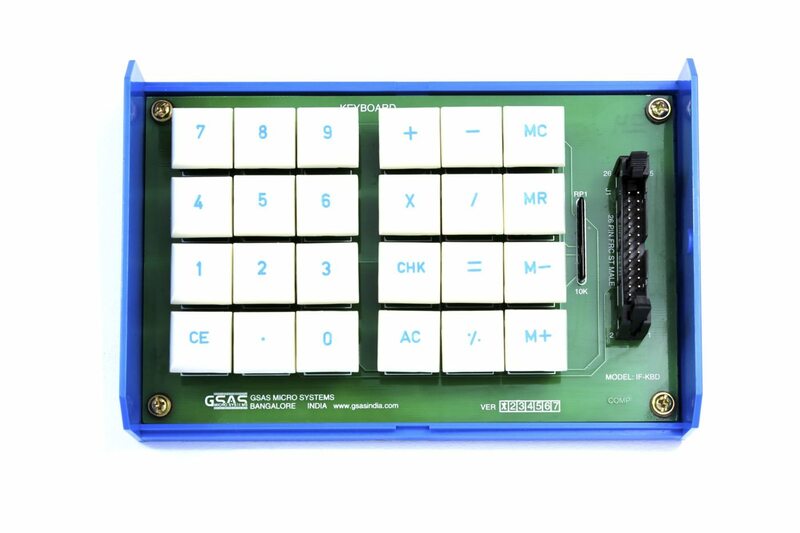 The interface is built around 16×2 (sixteen character per line and two Lines) alphanumeric LCD module. This can be directly coupled to the Any of I/O lines. 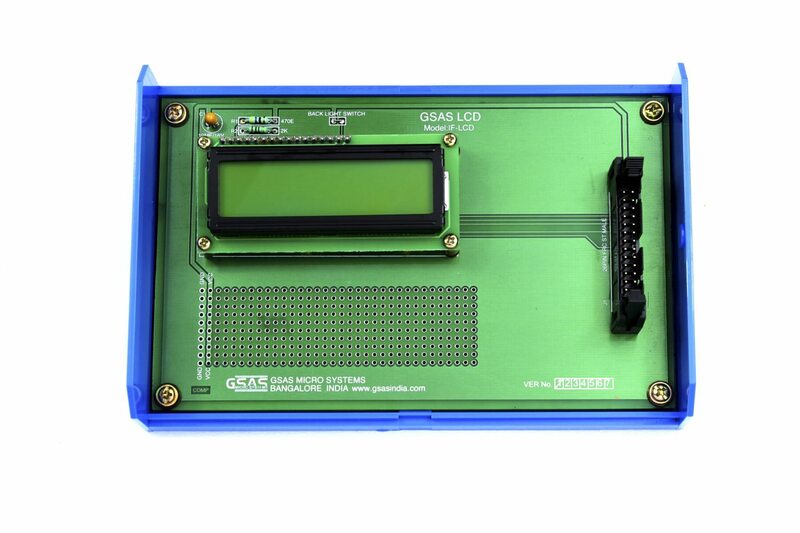 This present interface module allows the user to become familiar with the techniques of using the LCD module. status to determine when to start the conversion. This interface allows the user to implement A/D conversion using DAC through successive approximation technique or counter technique. 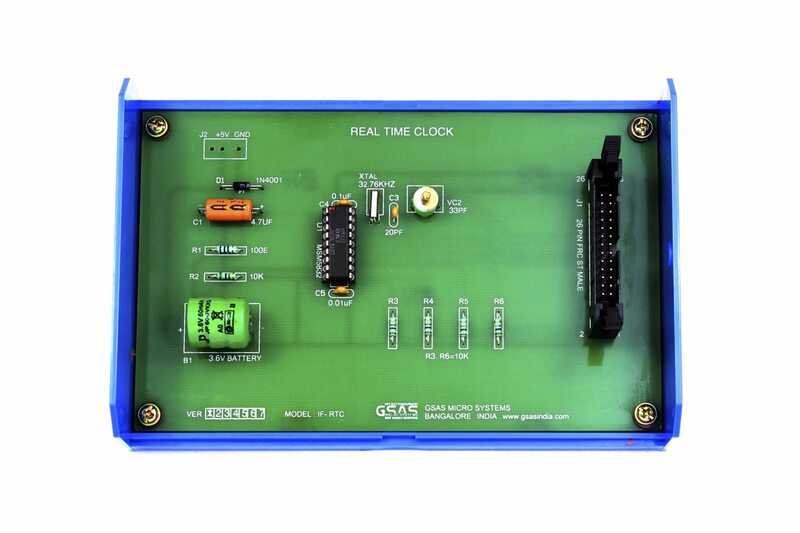 Also provides a simple temperature sensor simulator consisting of a TTL mono shot, allowing the user to employ a thermistor to convert a physical parameter like temperature to its equipment digital code. The DC motor used in this interface module is of rating +12V at 250mA. This Interface is used to control the speed of the motor.The pulse width modulation technique is used to vary the speed of the DC Motor. The frequency of the pulse is 100Hz keeping the frequency constant, the Width of the pulsed is used to change the speed. The ramp and pedestal technique is used to change the pulse width and there by the speed. 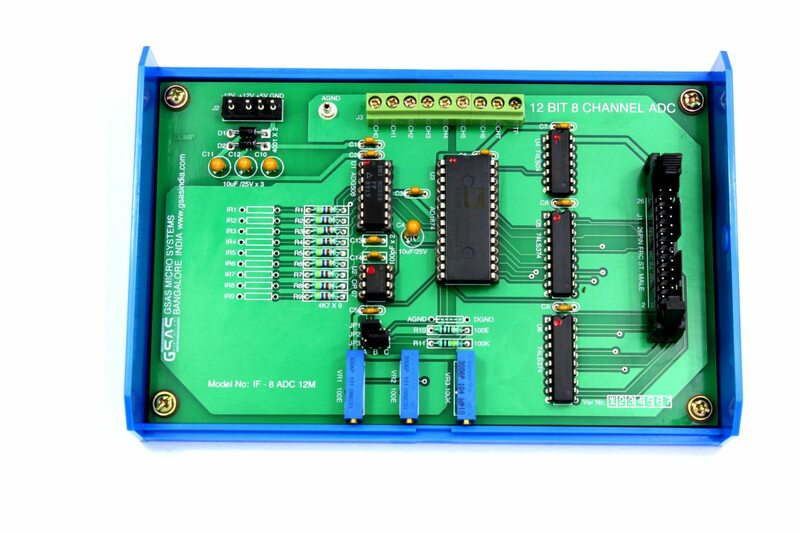 This interface consists of two 8-bit D/A converters whose current outputs are converted to voltage outputs using operational amplifiers. 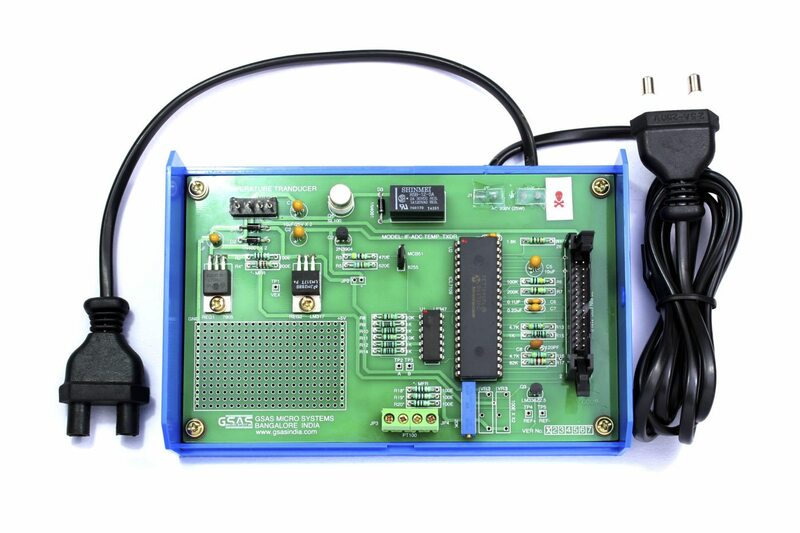 These Voltages (Ports outputs) are available to the user. The inputs to the DACs can be controlled through I/O ports. A sample program is provided with the interface to generate a triangular/ square waveform. The waveform can be observed on CRO . The user can write separate programs to generate other wave forms like sine wave, sawtooth etc. This interface consists of an integrator and a comparator. A port line can be used to control a CMOS analog switch to reset the integrator, another port line can be used to control another CMOS analog switch to allow the integration of an analog input (the duration of integration is controlled by user software). and yet another port line can be used to control another CMOS analog switch to allow the integration of standard reference voltage (the duration of which can be measured by user software). The integrator output fed to a comparator and the comparator output, in turn, can be sensed through a port line.Offset trimming provision is available for the integrator and comparator. 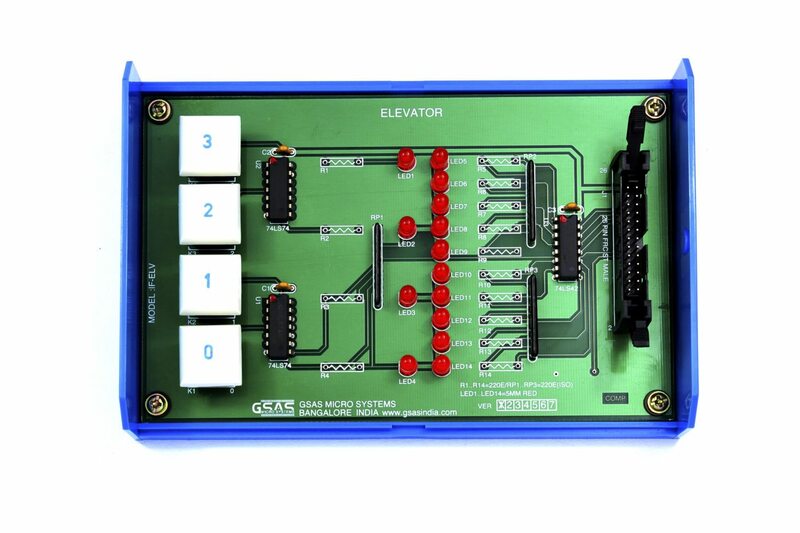 This interface simulates the control and operation of an elevator. Four floors are assumed and for each floors, a key and corresponding LED indicator is provided to serve as request buttons and request status indicators. The elevator itself is represented by a column of ten LEDs. The motion of the elevator can be simulated by turning on successive LEDs, one at a time. The delay between turning OFF one LED and turning ON the next LED can simulate the “speed” of the elevator. The user can use different I/O lines to read the request status information, reset indicators and control the elevator (LED column). 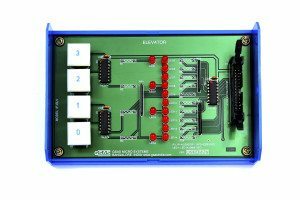 The interface allows the user to write software for simulating the operation of the elevator. The software exercise could include priority schemes, different Service schemes, etc. This keyboard display interface provides a calculator-style keyboard with seven segment displays. 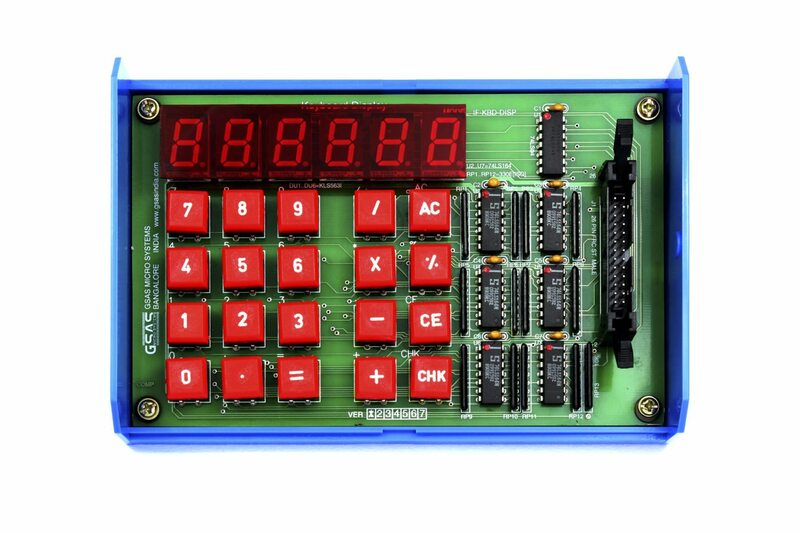 It consists of the switches 0 to 9, =,-,x,/,%, AC, CE, CHK and six 7-segment display. The 20 keys are arranged in a 4×5 matrix (each row has 5 keys). This interface allows the user to study a number of techniques generally used in calculator keyboard interfacing. The user can write programs to gain a good understanding of keyboard display, Arithmetic group of processor instructions by implementing the calculator functions (+,-./=,%, etc.). 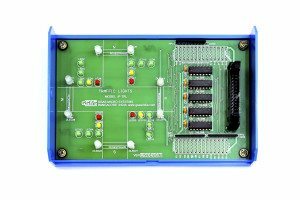 This interface consists of eight TTL buffered outputs and eight TTL buffered inputs.The logic state of each input/output is indicated by a corresponding LED (ON/OFF). 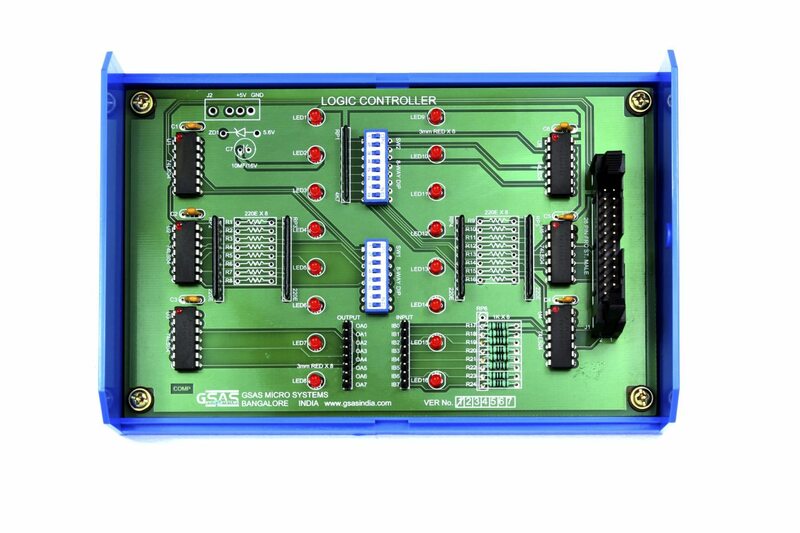 The inputs can be read through one port and the outputs can be controlled through another port. The inputs and the outputs are brought to berg-pins. Two Dip-Switches SW1 and SW2 are also provided. SW1 is used to connect the output status to the corresponding input line when switch is ON. SW2 is used to set different logic states by setting the switch to ON (or) OFF. This interface consists of a transistor and a speaker. The transistor is driven by a port line and the transistor, in turn, amplifies the signal and drives the speaker. 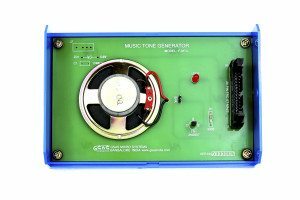 By controlling ON/OFF periods of the port line through software, the user can generate the required musical note. 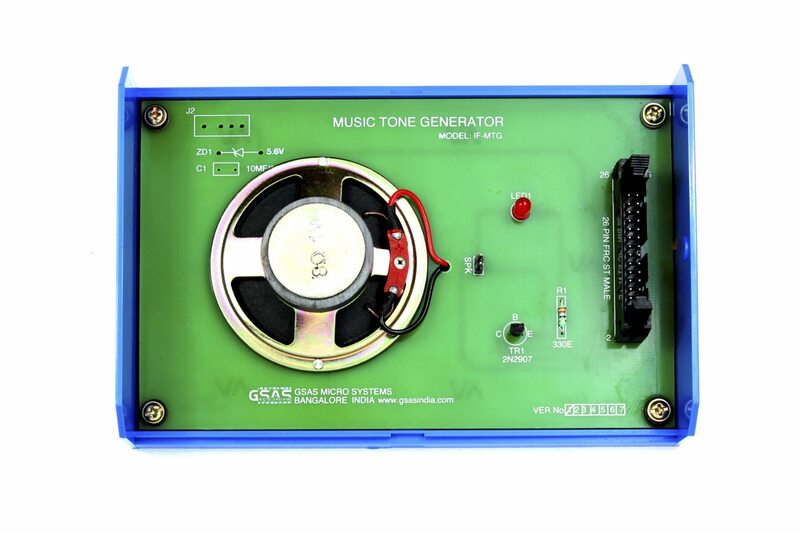 Sample programs are provided to generate a variety of musical notes. This interface is used to control the temperature by interfacing a Resistance Temperature Detector (RTD) with a microprocessor. The RTD converts a change in temperature to change in Resistance. The change in resistance is converted into a change in voltage using a / resistance bridge. 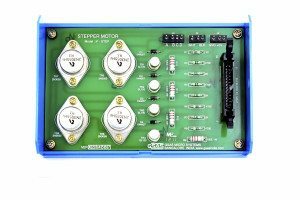 By using ADC 7109 the voltage is converted into digital form and fed to the microprocessor to switch the relay for closed loop operation. This interface simulates the control of traffic lights at a traffic island. In each of the four directions (North, South, East, West) LED indicators Left, Right, Straight, Amber, Red, Pedestrian (Red/Green) are provided. These 24 LEDs are controlled through 24 port lines of 8255.